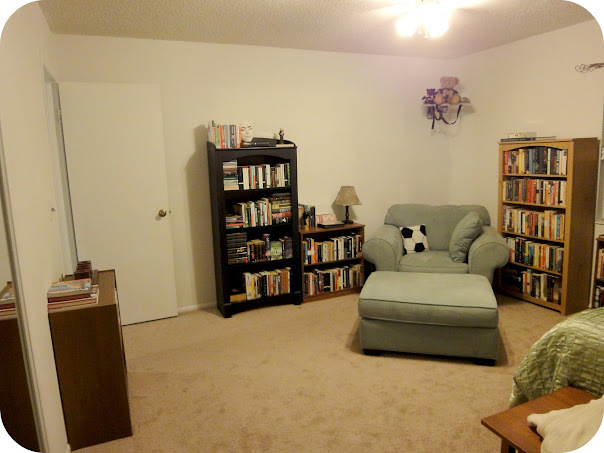 Even More House Pictures – my books. my life. I know I promised you a tour of the upstairs next but it’s not quite ready (in some respects it feels as though we have taken steps backwards). 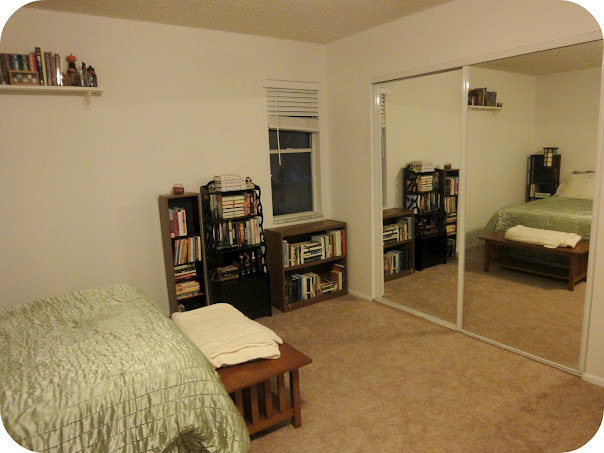 So I will show you part of the upstairs – the guest room/library – and then two areas that my dad painted while he was here. 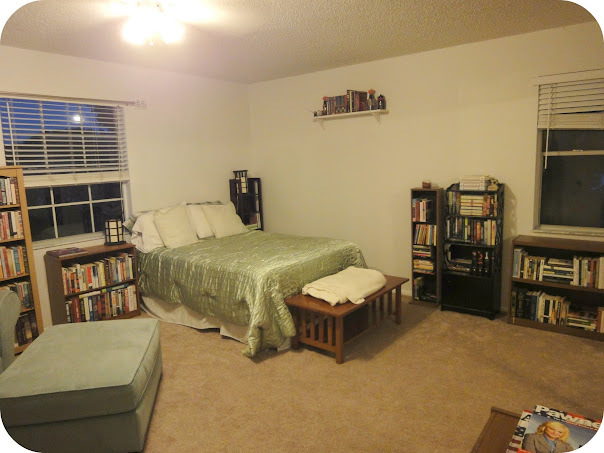 The guest room is oversized, so we decided to make it a guest room AND a library. All of these books need somewhere to live. (I believe that’s a super moon in the window by the way). Unfortunately, Ben and I both had to work for a lot of my dad’s visit so he requested more projects to do while we were gone. We had some leftover paint from the green cabinets I painted awhile ago and decided to brighten up this little hallway and add a splash of color to the otherwise neutral walls downstairs. 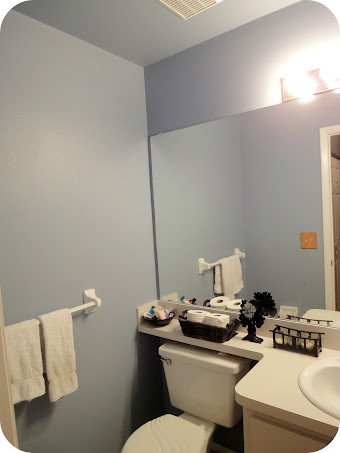 Then we took some of the paint from the baby’s room and freshened up the half bath downstairs. No nursery pictures yet – it’s coming along but I’m saving that for last for a big reveal. 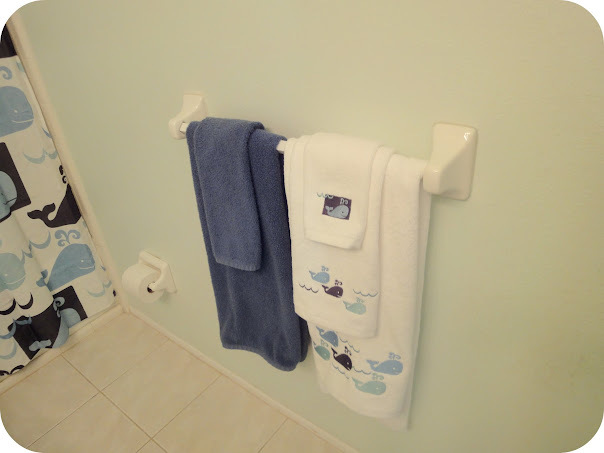 So here is the baby’s bathroom with the super cute whale theme to tide you over. More pictures to come. Eventually. If I were your guest, I would never leave!!!! Just leave me in there for a few months. And I love the baby’s bathroom. I can’t wait to see the baby’s bedroom!!! I also can’t wait to see the baby’s room, and think the house and the way you have decorated it is beautiful. 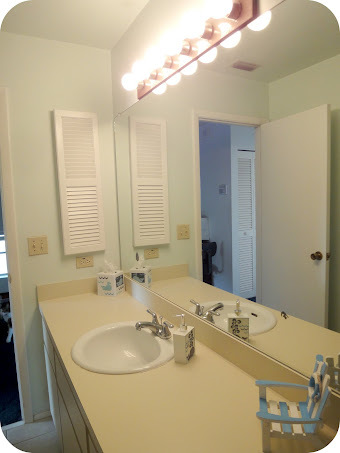 So thrilled for you to have all this space and to have such an awesome dad to paint it for you! Pingback: TSS: May 2012 Books Recap | my books. my life.